Decrease hospitalizations or re-hospitalizations of older adults in home care related to issues with care transitions. 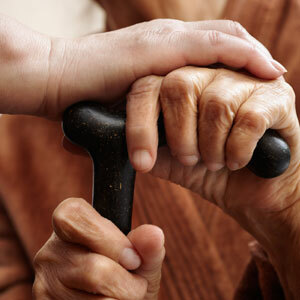 Hospitalization or re-hospitalization continues to be an issue for older adults. One of the factors influencing the older adults ability to return to home safely is the effective transition of care between facilities and home care. This program will focus on the role of the clinician in managing the care transition process to reduce issues in care issues that increase the risk of complications and the need to return to the hospital. This is a self-paced course with knowledge check activities. These non-graded activities allow you to check your understanding of the lesson objectives before proceeding on in the course. At the end of the course, you will be required to take the final exam. You must score 80% or higher to pass the course and obtain a certificate of completion. This course is designed to meet the continuing education requirements of health care professionals such as Licensed Practical Nurses, Registered Nurses, Physical Therapists, Speech Therapists, Occupational Therapists and Social Workers. Beth is a Registered Nurse, with a Masters in Nursing with a clinical focus in Gerontology from the University of Evansville in Indiana. The majority of Beth's nursing career has been in home health care, working in both education and administration. Beth is also certified as a Chronic Disease Professional Health Coach (CCP) and has developed this program. Jeanette Mefford is a home care consultant with more than 30 years of experience in administrative and clinical management and leadership. Through this experience, she has gained extensive knowledge and experience in federal as well as state regulation and compliance requirements, OASIS and Prospective Payor System. She is a recognized a leader in education and training seminars in Minnesota as well as nationally. Sevin C, Evdokimoff M, Sobolewski S, Taylor J, Rutherford P, Coleman EA. This course was developed with Rochester Community and Technical College's Continuing Education and Workforce Development Division located in Rochester Minnesota. <br><br> Development was supported by the US Department of Health and Human Services - Health Resources and Services Administration (HRSA); Minnesota Geriatric Education Center (MAGEC) Grant # UB4HP19196; Subaward Grant # P001768405; Director: Robert L. Kane, MD.